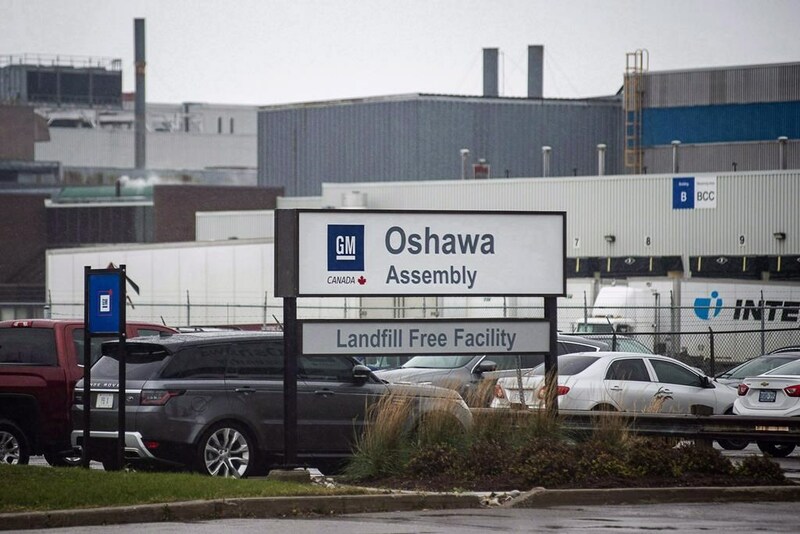 The closure of Oshawa's GM plant will immediately result in the loss of a combined 4,400 jobs on the assembly line and at parts manufacturers across Ontario and the job loss will only grow over time, a union-commissioned study has found. But the company's current stance won't stop Unifor and its leaders from continuing to fight, Dias said. The release of the study comes one day after Dias met with GM officials in Detroit to make his case for extending the life of the Oshawa plant, though he came away from that meeting empty handed and told reporters that the auto manufacturer was guilty of "corporate greed" and was "picking a fight with all of Canada". In a statement issued Tuesday, GM said the Unifor proposals "would involve substantial incremental costs and a further deterioration of GM's competitive position". "Unfortunately, all Unifor's proposals would involve substantial incremental costs and a further deterioration of GM's competitive position", GM said, adding that "it can not pursue them" because of the weakening market in North America. "We understand our union's frustration but need to now work together to deliver supports, transition and training for our employees for new opportunities over the coming year", spokeswoman Jennifer Wright wrote in an e-mail. The closure would also cut Ontario's GDP by $5 billion and mean $330 million less provincial government revenue next year, and lead by 2030 to about a billion dollars less in combined provincial and federal revenues, the study estimates. GM has, for its part, has said that the closure of the plant is necessary as it shifts its focus to electric and autonomous vehicles. A large rally is planned in Windsor on Friday. The ongoing shift of auto manufacturing by GM away from Canada and USA has helped boost profits for the automaker to what the union leader said reached US$6 billion over the first nine months of 2018. Decision to close Oshawa Assembly Plant all about "corporate greed", Unifor national leader Jerry Dias told a Windsor news conference Tuesday after a meeting in Detroit with GM executives. "They have the ability to keep a product in Oshawa which is an award-winning facility", he said. The union has said the decision is contrary to commitments made by GM in contract negotiations with Unifor in 2016. He noted that GM fulfilled its repayment obligations under the last bailout. "GM acknowledged the importance of the Canadian (car-buying) market". The union is also considering its legal options, Dias said. "Union plans to escalate campaign to #SaveOshawaGM", Dias tweeted Tuesday after the meeting. "It is entrenched in communities across North America, including Oshawa", he said. China also denied WSJ's allegation that some Chinese leaders had offered to bail out 1MDB in return for lucrative contracts in 2016. Asked about the timing of the operation during trade talks, Lu said resolving issues would help both countries and the world. On Monday, Chinese importers made another large purchase of USA soybeans, their third in the past month.